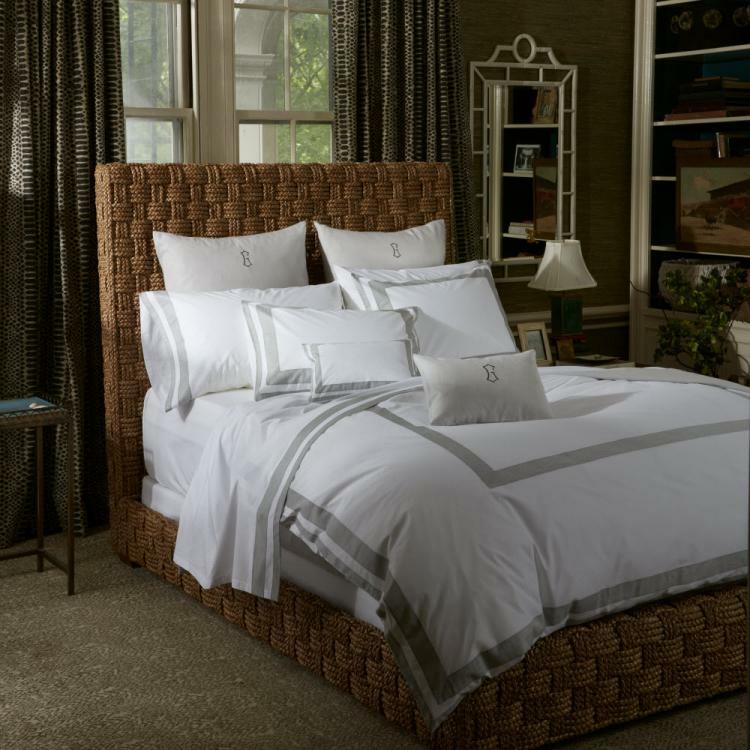 We took our Greyson sheeting - a sateen melange featuring subtle tonal striations - and turned it into a thick double-stripe applique on 520 thread count Ceylon sheeting for a look that is bold, yet confidently uncomplicated. A versatile style for the modern customer, Jackson can be styled alone, paired with Greyson, or incorporated with shades of grey, blue, and champagne throughout the Matouk collection. Made in the Phillippines of cotton percale woven in Italy. Care Instructions: Machine wash warm. Do not use bleach or fabric softener. Tumble dry low heat. Iron if needed.